Finders Keepers makes the Ted Hughes Award shortlist! 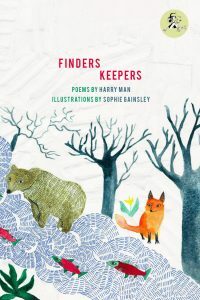 Dr Fulminare is ridiculously jittery to announce that Finder Keepers by Harry Man and Sophie Gainsley has been shortlisted for The Ted Hughes Award for New Work in Poetry! This incredible collaboration has been a real labour of love, and goes far beyond the average poetry collection. 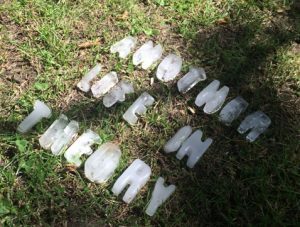 Harry Man has travelled around the UK to shadow conservation teams and geocache poems for nature lovers to discover. 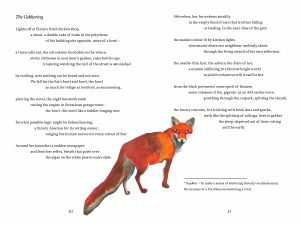 Meanwhile Sophie Gainsley’s vibrant, scurrying artwork brings Harry’s emotive, investigative poems to life. Best of all, the project continues, with future geocaches planned! 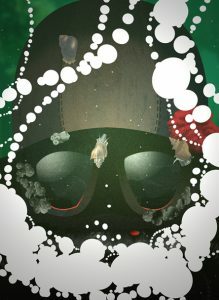 Finders Keepers embodies what Sidekick Books stands for – energy, teamwork, playing with genre and format. It’s been a pleasure to work with these two talented artists. 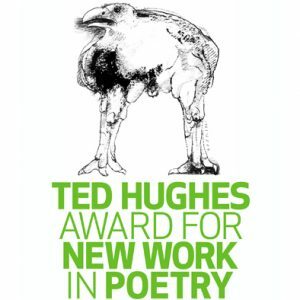 Thank you to everyone who nominated Finders Keepers for the Ted Hughes Award. We’re thrilled and touched, not least because this news has put Dr Fulminare in such rude spirits he’s doubled our rations! 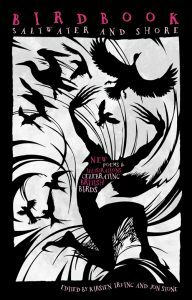 You can read the Poetry Society press release here! Author Kirsten IrvingPosted on March 9, 2017 March 9, 2017 Categories awards, news, Team-upsTags animals, Finders Keepers, harry man, Sophie Gainsley, Team-ups, Ted Hughes AwardLeave a comment on Finders Keepers makes the Ted Hughes Award shortlist! General introduction: What are we ‘fixing’? I WOULD characterise the major problem with contemporary British poetry culture like so: I have, on my shelves, a growing collection of intensely idiosyncratic, vibrantly multifarious books, almost resonating with the small power of their grimoire-like content, connecting me to myriad lived experiences, intelligences and lives of the mind. They’re filled with play and dance, wisdom and strangeness, violent shifts in temperament and technical virtuosity. It’s a relatively modest treasury, but there is enough wealth there that I don’t expect I’ll bleed it dry in my lifetime. And that’s assuming I don’t keep adding even more books. They are talismanic; to carry one with me on a jaunt, or into work, is to shield myself just a little against the creep of anxiety and despair. They do not all agree with each other. They do not all agree with me. Some of them are vexing. Some are frightening. At the same time, beyond my bookshelf, in the public sphere, there is this thing called poetry. Supposedly it is the same thing. When you look at the individual words and names and titles, by god, it is the same thing. But in the public sphere, where it is acknowledged and talked about, it seems to amount to the vague and unaccountable indulgences of the sentimental and the terminally comfortable. It dithers. It all looks the same. It is oddly pleased with itself, at the same time as squirming with insecurity. It constantly insists that it is Important and Brilliant, but when asked why, it sulks and storms off to its bedroom. It doesn’t want to surrender its stories or dirty its dress; it simply wants to be gazed at. The warlocks become burghers, the cosmonauts streakers. It looks like an isolated empire in opulent decline. I don’t see any natural reason why this stark disconnect between realities should exist, why it can’t be changed. It isn’t to do with the quality or health of the art itself; it is entirely a problem of how poetry chooses to present itself to the world, a collective failure to grasp that what makes a medium rich, what draws multitudes to it, is not its common character but its genetic complexity, its resistance to easy summary. Every time poetry tries to tell the world what it ‘is’, or boasts of its vitality, or proposes its practitioners as a ‘type’, or elects a representative, it further closes itself off. I say at the outset that the purpose of this exercise is not to assign blame, and certainly not to suggest that no one else is aware of the problem or trying to do anything about it. Systemic, cultural problems are the sum of millions of unintentionally complicit individual behaviours. In The Man Who Was Thursday, the entire anarchist council turns out to be composed of spies who are trying to destroy it from within. Similarly, I’m prepared to believe that most of the individuals comprising contemporary British poetry culture are allies in the same struggle. 1. Acknowledge prize culture for what it is and what it does, and make it do its job better. It shouldn’t be a surprise that prize culture features first on my list, but since it’s such a tediously contentious and oft-visited area, I’ll need to be exact about what I mean. Prize culture is poetry as a spectator sport, but one which takes place through darkly tinted glass, goes out of its way to avoid spectacle and advertises itself fraudulently as an evaluative process. The effect of the fraud is to cause practitioners to discuss the problems with prize culture in an entirely confused way, forgetting its real purpose. 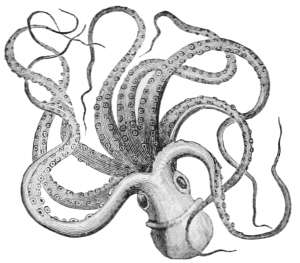 The effect of the opaqueness is to make rancour out of the healthy conflicts that exist within poetry because practitioners are left guessing – or piecing together rumours – to understand a decision-making process that refuses to account for itself and its powerful aftershocks. It’s WrestleMania held at a secret location, with most of the contestants absent. Starting further back, no poetry prize exists merely to reward ‘the best’ of anything, even if such a function could be scrupulously performed. Smaller prizes exist to raise funds for their organisers. The big ones, however – the Forward and the Eliot in particular – are primarily a service to what we might call ‘the poetry industry’. They are mechanisms for publicity, and for pot-stirring. One of the remits of the Forward Prize is “to make people who don’t usually read it more aware of poetry” (quote attributed to one of last year’s judges). It’s important to understand this, firstly because it’s a waste of time, therefore, to spend too much time worrying about whether the selections really represent the ‘best’ of any given category. Even if you believe such objectivity is possible, that mission is completely overridden by the more measurable purpose. If the Forward or the Eliot mysteriously stopped producing spikes in sales for shortlisted books, a serious reform would be undertaken immediately, as a matter of emergency, no matter if the entire world agreed on the correctness of the selections. The second reason it’s important to understand this is because the prizes should be much better at this task than they are. The shot in the arm they give ought to be longer-lasting and felt across the wide field of contemporary British poetry. In other words, they should be creating more readers of poetry. They are not. Prizes could better work towards achieving this purpose, however, if the debate about strategy were more inclusive and not held behind closed doors. It’s clear to anyone with their ear to the ground that judges and officials regularly wrangle with the politics of their decisions in private, and it doesn’t take a powerful intellect to guess that part of the reason so much of a shortlist is composed of books by non-independent publishers is that these publishers are best able to supplement the resulting publicity with their own marketing muscle. Even if individual judges swear blind that this didn’t cross their mind for a moment, the panel itself will often represent a bias towards the range offered by these publishers, with at least one representative from their lists. Strategy is certainly something that needs to be urgently revised. There is a fundamental crudeness to the way the prizes attempt to make news (and, therefore, readers) out of their processes. The appeal of any contest lies in the narratives that spring from it, but year on year, prizes return to the same tired plots: eminent poet cements reputation. Or: hotly tipped young poet still on a roll. That’s it. These are boring stories, and that’s why, in recent years, we’ve seen the announcement of shortlists flavoured firstly by weak proclamations of ‘a great year, a mammoth task’, then by controversial statements. Where are the upsets? Where the uproar that X would have won but for a quirk of circumstance? Where the rivalries between different houses, or movements, or ideas of poetry? In answering this last question, it becomes obvious that one of the major strategic failings of prize culture is its disavowal of the fracturedness of British poetry, its aspiration towards a smooth meritocracy, free of tribal conflict. But there’s a reason why movements are remembered, why they are born, beyond generational tensions, and it is this: movements make for stories, with characters, with success and failure, and stories make for contexts in which – or through which, rather – poetry can be discovered by readers. This also helps explain why a proportion of poetry readers turn away from the present with a sneer but embrace the often more difficult poetry of the past, long-dead poets having settled into their narrative/mythological bedding. It ought not be this way. The staged contest should be a mechanism for revealing the variety and energy and, yes, obsessiveness, that lies behind this art form. It should be a chance for those normally interested in poetry to find something or someone to identify with and cheer on amongst the flinting of differing ideas and ideals. The objection I sense bubbling up goes something like this: But it should be about the poetry, not personalities, not egos. What you’re suggesting is that the poetry itself be subsumed by scandal and cheap theatrics. I don’t believe, based on the lively discussions I’ve seen poets engage in, that it need be like this either. There must be something in between theatrics and fixed smiles, something which offers a wide open window to the poetry behind the posturing. And how many readers discovered Rimbaud through his reputed scurrilousness, Catullus through his obscene gossipmongering? The zealousness in dismissing drama and histrionics as beneath our contempt speaks of a failure to recognise that one of the sources of such embarrassments is deeply felt passions being diligently, ritualistically stifled. Only some of that passion is egotism; the rest is artists’ passion for their medium. “Why isn’t the story ‘UK poetry in great shape’?” poets often ask when a journalist alights on some grubby escapade. Because that’s not a story; that’s a press release. (4) that we anticipate and welcome the conflict that comes with our choosing who and what to promote and reward, instead of valorising a politeness that borders on the obsequious. In finer summary: poetry already tries hard to be a spectator sport. It just does it badly. Do better, and people will then come on to the poetry itself. Still not got your fix? Find the full post series here. Woooo! Sidekick Books won Best Collaboration for Riotous yesterday at the Sabotage Reviews annual Saboteur Awards! Thank you to everyone who voted for us! K following surgery to graft the trophy onto her head. 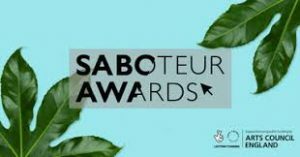 For those who don’t know the Saboteur awards, they are run by the Sabotage staff Claire Trevien, Richard T Watson and James Webster, and are an incredible force for recognition in independent publishing, particularly poetry. As with the website themselves, the awards are run voluntarily, and are nominated and voted for by readers and fans. They are also the only awards we know of in the world to recognise collaboration and anthologies. Huge, huge congratulations to all the winners, including the brilliant Poems in Which, run by Amy Key and Nia Davies and illustrated by Sophie Gainsley. Particular kudos is due to Nine Arches Press, winner of Most Innovative Publisher. 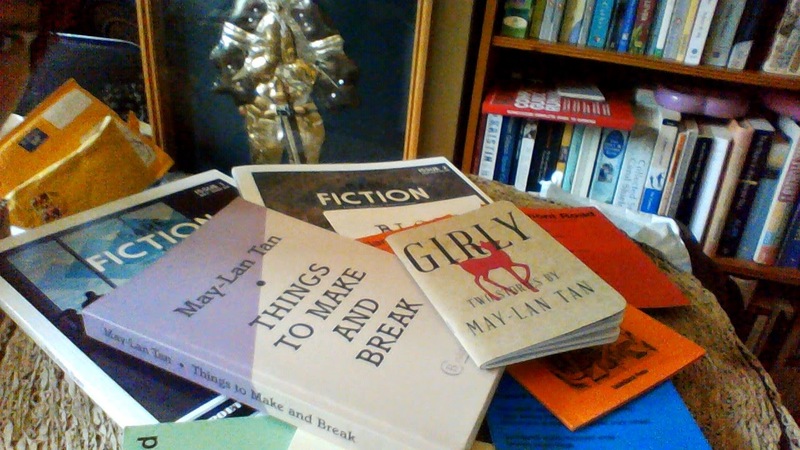 One of the hardest-working, friendliest and most dedicated small presses active today, with a seriously impressive oeuvre. Great also to see recognition for non-London presses (and we say that as a London press). Huge thanks to the Sabotage crew for a fantastic event, a breath of fresh Oxford air and an opportunity for us independents to show the world what we do and why. Here’s to next year! For the full results, visit Sabotage Reviews. And while you’re there, have a good look around. This is what it’s all about. Sabotage Awards, Angela Lansbury and new Sidekick Cat! Finest acolytes! Much news from Sidekick HQ! So if you like what we do, please remember we need your vote to win! No registration gubbins needed. It’ll take less than a minute (or more if you’d like to elaborate on why you dig our strange creations). The Sabotage Awards are a big deal for small presses, so thank you in advance for casting your ballots! The King’s Cross launch event last year was packed, so this is a great opportunity to see one of London’s wittiest, warmest and most innovative poets share her darker Cabot Cove obsessions. Buy the book here, with free Angela pin badge! Thirdly, please wish a warm welcome to Mitchell the Cat, who has moved from a prominent position with lots of responsibility at Battersea Cats and Dogs Home to our Silvester Road HQ, and is currently on photocopying duties. Have a fantastic Eurovision, everyone! Let’s wish Conchita Wurst all the best! Author Kirsten IrvingPosted on May 10, 2014 October 11, 2016 Categories angela, awards, chrissy williams, events, follow the trail of moths, general news, mitchell, riotous, sabotage reviewsLeave a comment on Sabotage Awards, Angela Lansbury and new Sidekick Cat!